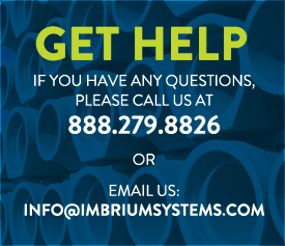 Which Imbrium Systems Product is Right for You? Home > Which Product is Right for You? Use the table below to help choose which Imbrium product is right for your application. There are many factors that need to be taken into consideration when choosing the proper stormwater treatment technology for your site. Examples include local regulations, groundwater depth, peak flow, drainage area, number of inlets, and targeted pollutant removal percentage. Fortunately, our engineers are here to help. Click here to request sizing and design assistance on your project. One of our engineers will follow up with you within 24 hours.